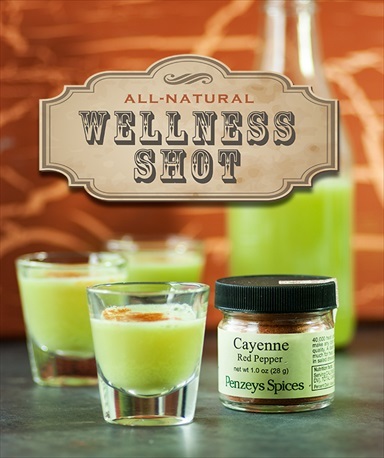 I posted an all-natural wellness shot recipe a short time ago that can help you fight off colds and the flu. In this post Lexie of Lexie’s Kitchen shares her recipe for her Homemade Wellness Juice Shot which uses some additional healthy ingredients. One thing I’ve found is that these shots work really well all year round. They contain ingredients that help with an upset stomach, muscle aches and pains, fever and more. If I get that feeling that my body is fighting off a cold or the flu, I make a similar wellness shot and pop it back. It’s amazing how it seems to jump start the immune system. Check out the Homemade Wellness Juice Shot Recipe link below to see Lexie’s recipe for Wellness Juice Shot.